Hi everyone, I'm Callum, the new General Secretary for UoBCC. I have the immense task of living up to Tom Mowbray's incredibly high standards in this role! If there is anything that you feel should be included in the weekly newsletter, do not hesitate to contact me at ch12426@my.bristol.ac.uk. Exciting news for the club! "Over the past couple of months a few of us have been working away on an exciting future for the club. Today we're excited to announce that we have been offered Bristol University Kick Start Sport status for 2015-16. What does this mean? This puts us on the starting line to the path of becoming a performance club, something only a handful of clubs in the University of Bristol have the privilege of being a part of. It allows us to gain increased resources for our top level athletes, primarily what we are gaining is access to coaching. Now it's time to iron out the technicalities, but the future is looking bright for the UOBCC! 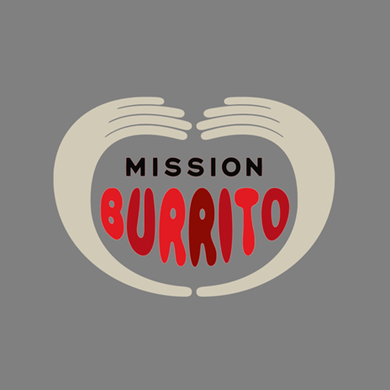 Special thanks need to go out to Fred, Andrew and Cameron for their help putting together the application and support through the presentation process!" 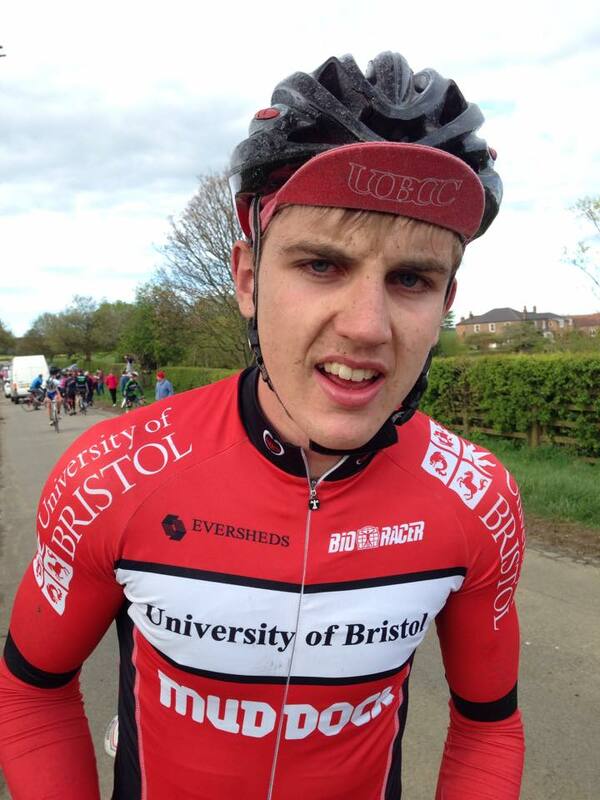 In other news, on Sunday we had two riders fly the Bristol flag at BUCS Road Race in York. Cameron Toms reports a very tough day in the saddle. 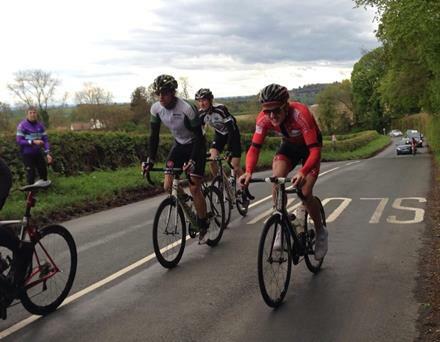 May 9th dawned grey and rainy for the BUCS road race in North Yorkshire. Luckily by the time the men’s race set off at 2pm, the clouds were beginning to lift and the drizzle and almost stopped. 70 riders started off on 10 laps of the rolling 13.5km circuit followed and then a steep climb in the last 1.5km. After a neutralised start, the speed picked up quickly, leaving the peloton stretched out and riders at the back struggling to hold onto the wheel in front. Cameron and Ryan spent the first hour sheltering from the wind, overtaking on the wrong side of the road and trying and eat a banana at 40kph. As the afternoon drew on the sun came out and the feed zone was a flurry of flying water bottles and rain jackets. Several attacks were made, including one that got a minute up the road, but these were quickly reeled back in by a determined and aggressive peloton. The high speed was taking its toll though and after 95km cramp caused Cam to be dropped, with no chance of making it back to the peloton. Ryan managed to continue by unclipping and stretching his cramping legs on the descents. 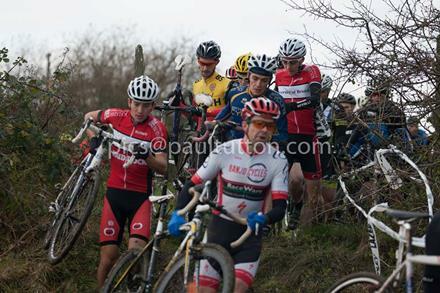 By the penultimate lap, the field had been reduced to only 30 riders and the effort was clearly taking its toll. With half a lap to go, Exeter rider Rory Townsend made a break that nobody was willing to chase, giving himself a 20 second lead coming into the final climb. Behind him the race exploded – Ryan attacked into the foot of the climb but was unable to hold the pace of the strong climbers and came in around 30th. A congratulations to all the riders who made it to the end of such an arduous race. Final stats: 140km, 1200m elevation, 39.7kph. 2. Click here to see UoBCC battle it out at BUCS Downhill from Innerleithen in Scotland! Thanks Eric! TICKET SALES FOR THE AU BALL ENDS TODAY! 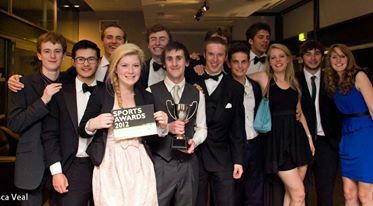 "The Sports Awards, which is run by the Bristol SU Sports Executive, brings together sports clubs to recognise and celebrate their development, participation and performance in sport at the university." This week the BSCC TT course is at Aust. There are TT's on every week for the next couple of months, mainly around Chew Lakes and at Aust, North Bristol. 2. 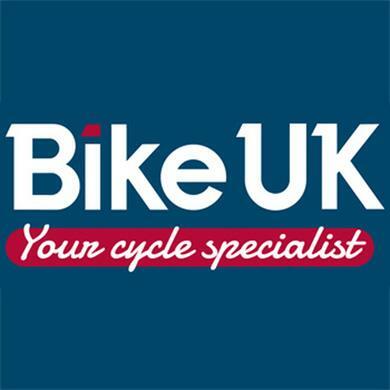 The first of the Western Summer Series Cyclocross races kick off this week at Gloucester. These will be held on Wednesday evenings throughout the summer at various locations around Bristol. Click here for more information. 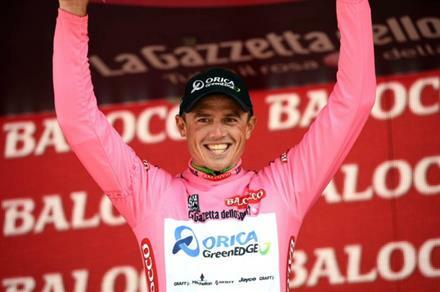 Orica Greenedge (OGE) stormed to victory in the opening TTT of the 2015 Giro d'Italia. This gives a taste of what riding along a bike path at 60kph is like, speeds that haven't been seen on such terrain since the 2014 Tour de Burrito. The hilly first week favours the opportunists and the roulers and we could see some aggressive racing with many teams represented in breaks to try and claim the Maglia Rosa early on. Stages 4 and 5 look particularly intriguing (12/05 and 13/05). For a much better insight into the Giro d'Italia stages than I will ever provide, try the Inrng. The Giro d'Italia is 'inconveniently' accessible to watch LIVE over the exam period here. "The hardest race I have ever done" - Mr Watts himself, Ryan Witchell, after the brutal hilly BUCS road race in York. His bloodshot eyes speak a thousand words, but only Ryan himself could suitably sum up the race: 'alas, I could not cope'. A new feature of the UoBCC newsletter for 2015/16! Anyone who has been out on a club ride this year will have undoubtedly heard about Strava - it's a great way to challenge yourself and your mates on the bike, and provides a bit of healthy competition outside of races. The new monthly Strava Segment Challenge (SSC) is designed to provide a small goal for each month; to give yourself a chance to push harder than you normally would and to explore new areas of Bristol. May 2015 Segment - "Promenading"
Description: As exams draw nearer, big rides are off the cards. To keep you on your toes through this period, the May segment is a local one with a sting in its tail.